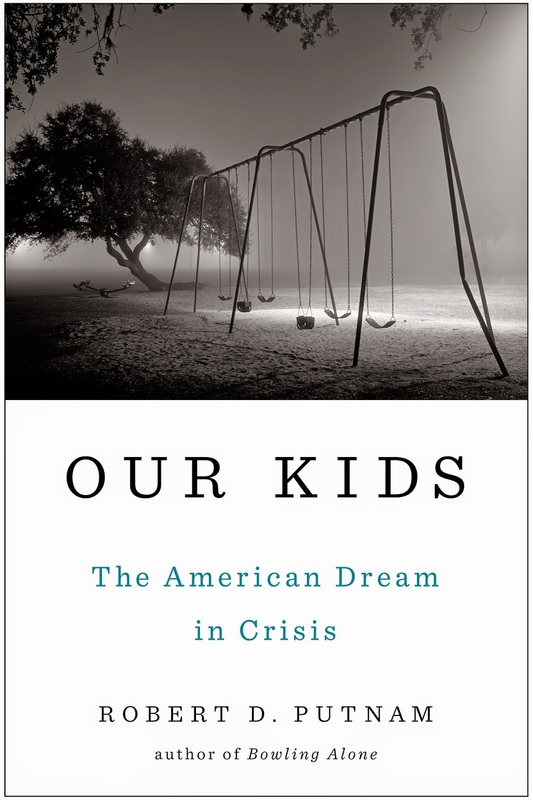 The research behind Our Kids spans myriad quantitative and qualitative studies and draws on anecdotal evidence from towns across the country to illustrate his points about class immobility: namely, that affluent kids are offered more opportunities to succeed, often without even realizing it, than poor kids can even imagine. For the purposes of his arguments, Putnam defines "upper-class" homes as those with parents who graduated from college and "lower-class" homes as those with parents with a high school diploma or below. This definition can be problematic in its oversimplification, though Putnam's thorough explanation of the reasoning behind it saves it from distracting from the overall arguments of the book. It's a good thing, too, for his conclusions include actionable and important recommendations on what average citizens can do to change the inherently danger status quo he has observed--including a call for "a commitment to invest in other people's children... our kids." This sounds really thought-provoking and important! Thanks for sharing.